All web hosting companies are not created equal. | All web hosting companies are not created equal. All web hosting companies are not created equal. You would like to provide a good home for your website, right? Of course, cost is an issue but reliability and service will likely be major factors in the decision making process. You should expect your host to be up and functioning 100% of the time but you will likely only see guarantees of 99-99.5% uptime. Less than this is unacceptable. If you will personally be managing much of the activity for your site, make sure that you are comfortable with the Control Panel. Some hosts present Control Panels that are cumbersome and complicated. You want to easily navigate through routine functions. You will also want to make sure that the hosting company has functionality that you may not be using now but will likely use in the future. These would include PHP, MySQL, .htaccess, SSL, etc. Examine the offers for email and autoresponders also. 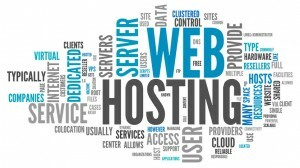 Many web hosting services offer very low rates if you commit to a year or more of hosting. While this may turn out to be an excellent value in the long term, it may be advisable to pay each month until you are confident in the service and, quite importantly, the quality of the technical support that they provide. Getting accurate responses to questions quickly will make your life as a site owner less stressful. Web Designer Domains wants to be your web guys! Just your average extraordinary web guy by day.